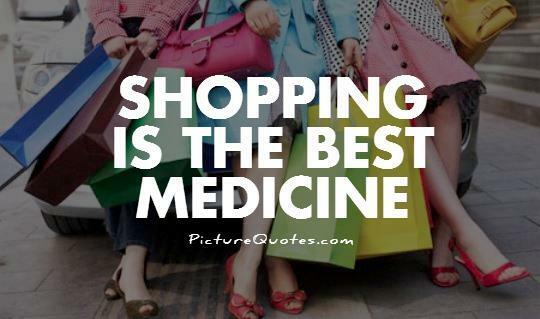 I don't know about you but no matter how tired or not in a good mood I am, shopping always make me feel better. Now that's another reason for us, ladies to shop more, haha! If I have all the money in the world I'd definitely shop everyday of my life, but that kind of luxe just ain't for me and as a mom I have to be very practical when it comes to spending. I still get to go shopping every once in a while and this time I have to follow a budget that's why I find it very practical to shop during SALE! Speaking of SALE, early this month SM Manila held another 3-day sale and of course I did not let that opportunity pass. I was able to score a brand new kicks for a reasonable price. 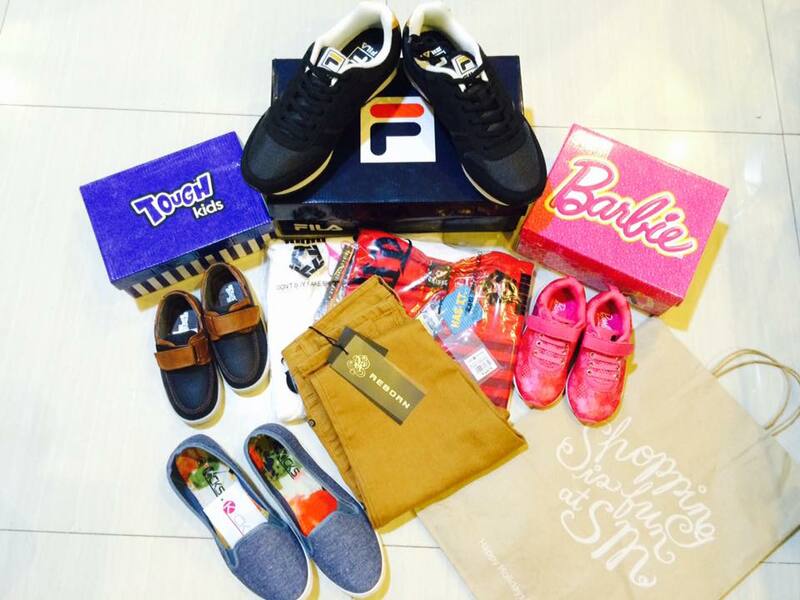 Barbie pink shoes for my daughter and Fila running shoes for me. This pair of shoes is my current favorite. I use it whenever I work out or go jogging, it's super lite and very comfortable. 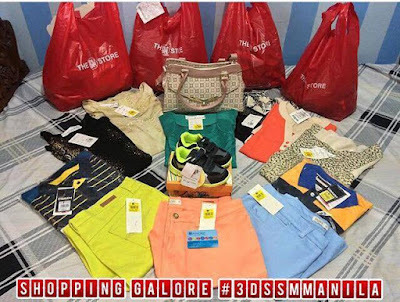 Let me share with you some more of my favorite mom-derful fashion finds at SM Manila. A few months ago, my family and I went shopping at SM Manila and among these items my most favorite is the denim slip on Kicks, which is perfect for casual use or a day out with family. 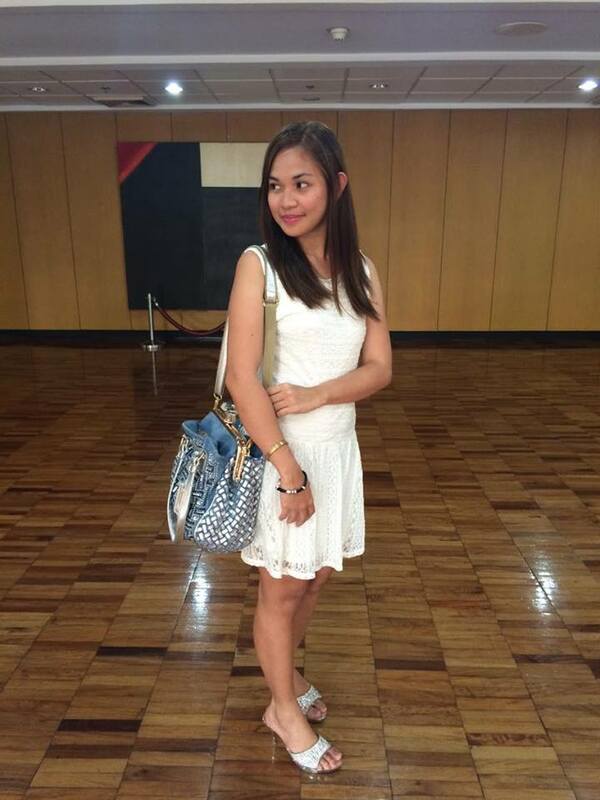 On the photo I was also using the Giovanni bag which I also bought on SM Manila during a 3-day sale few months ago. 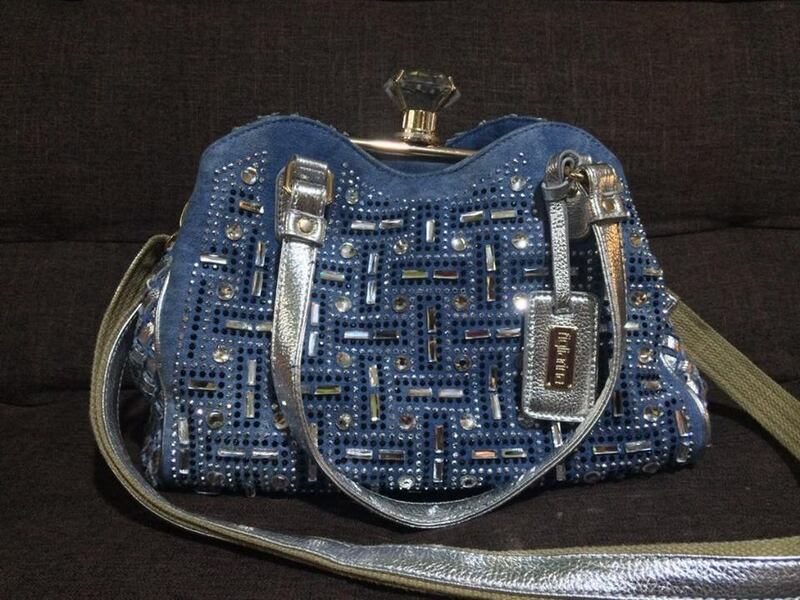 Here's another one of my mom-derful find at SM Manila, my elegant Frigiliana bag with crystal studs. 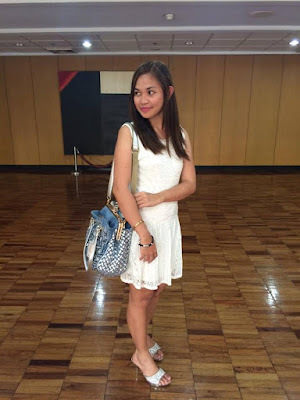 I wore it during my son's Graduation day, and paired it with my Figlia high heels also with studded crystals. 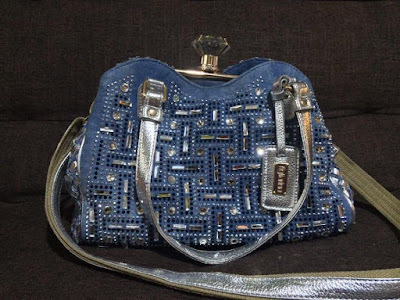 What I love most about the bag is that it's flexible, I can use it not just on formal occasions as it also goes well with casual clothes like pants and shorts. 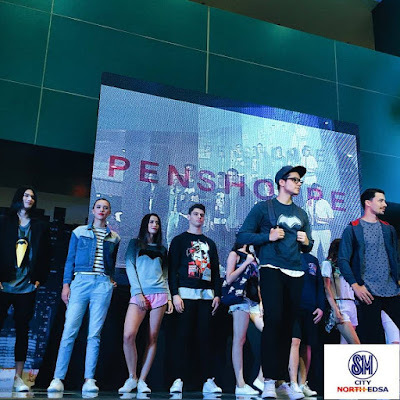 There you have it, some of my favorite fashion finds at SM Manila. I actually have a lot but as of the moment these items are my most favorite among them all. Seeing them all in my closet makes me happy. I believe this items are also available in all SM stores nationwide. 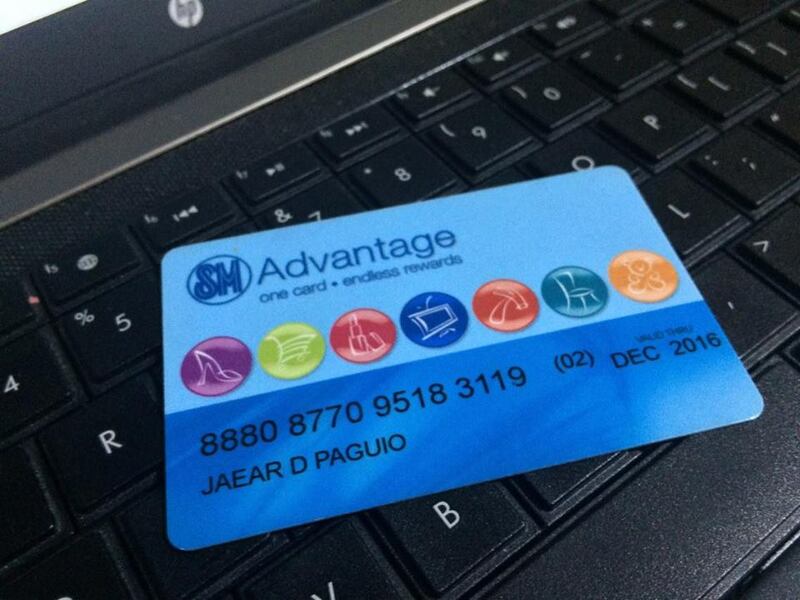 And, because I love to shop, I mean my family and I goes shopping every once in a while for our stuff my husband decided to avail the SM Advantage Card. It was a pretty good decision since every time we shop we earn and redeem points, we also get exclusive access to sale events, discounts, special offers, and freebies. Sounds good right? So how about you, what's your favorite beauty or fashion product from SM? Every now and then, we hear stories about people battling cancer. Some of us have friends or relatives with cancer and we all know how much of a burden this disease is. Cancer is one of the most challenging diseases and annual cases are expected to rise to 22 million within the next two decades. In 2012 alone, there were 14 million new cases reported by the World Health Organization (WHO) with 8.2 million cancer-related deaths. A significant contributor to this statistic is lung cancer, which is the top cause of cancer mortality for both sexes worldwide. Sadly, incidence from the Philippines is not far off from the global data. 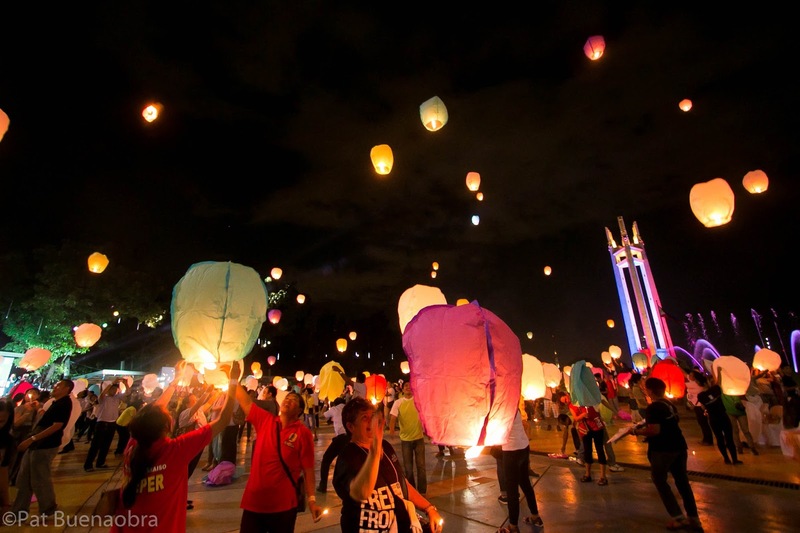 According to Globocan 2012, Iung cancer is the second most common cancer in incidence and mortality among Filipino men and women. Melanoma on the other hand affects around 300 Filipinos annually. Though melanoma is not one of the most common cancers in the country, early diagnosis remains a challenge for most patients. The good news is that for many cancers there have been significant breakthroughs – from prevention to treatment options – however, the unmet needs remain high. 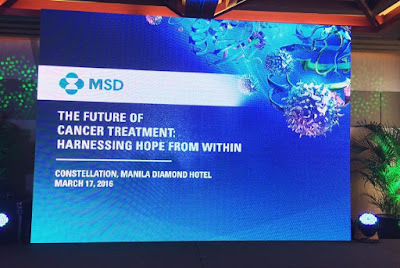 Last March 17, 2016 in Diamond Hotel, I was very eager to learn about this spark of hope made even brighter for Filipino patients with advanced stages of lung cancer and melanoma as MSD in the Philippines, a leader in oncology research and development just introduced Immunotherapy, one of the most innovative cancer treatment methods to date. Immune checkpoint inhibitors is a form of cancer treatment that prevents the interaction between the immune system’s T-cells and the tumors. When tumors and T-cells interact, a protein found in the tumor called the Programmed Death-Ligand 1 (PD-L1) deactivates T-cells so they become incapable of recognizing and destroying cancer cells. Through immunotherapy, this interaction is blocked so that T-cells can detect and ward off the cancer cells. In the Philippines, the anti PD-L1 immunotherapy drug Pembrolizumab received approval from the Food and Drug Administration (FDA) for the treatment of advanced or metastatic lung cancer and melanoma after failing first-line treatment. 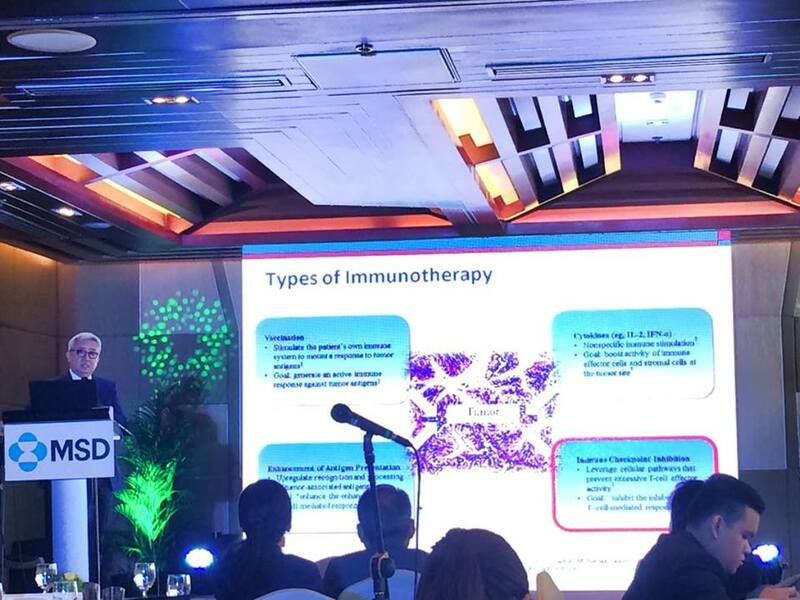 In a media round table symposium held March 17 in Manila, Dr Gerardo Cornelio, Cancer Institute Head of St. Luke’s Medical Center Global City shared that "Pembrolizumab has the potential to become an integral part of cancer treatment. It has and will be tested across a broad spectrum of cancers." said Dr. Cornelio. Clinical trials have shown immunotherapy’s efficacy in the treatment of advanced lung cancer and melanoma. According to a study published in LANCET, Pembrolizumab showed superior overall survival with less high-grade toxicity for previously treated, PD-L1-positive advanced non-small cell lung cancer. Results of the trials showed that the most common side effects for lung cancer patients receiving Pembrolizumab were decreased appetite, fatigue, nausea, and rash. Clinical trials also showed that Pembrolizumab has superior anticancer activity in patients with advanced melanoma who failed previous therapies. In terms of safety profile, Pembrolizumab showed a lower incidence of treatment-related adverse events compared to chemotherapy. Biomarkers play a key role in patient response. The expression of a certain biomarker in patients’ tumors played an important role in their response to Pembrolizumab. Biomarkers are proteins found in a patient’s tissue, blood or fluids that can help determine the outcome of a patient’s disease or response to medication. Clinical trials have shown that if a patients’ tumors express the biomarker Programmed Death Ligand-1 (PD-L1), patients are more likely to have a better response to the drug. 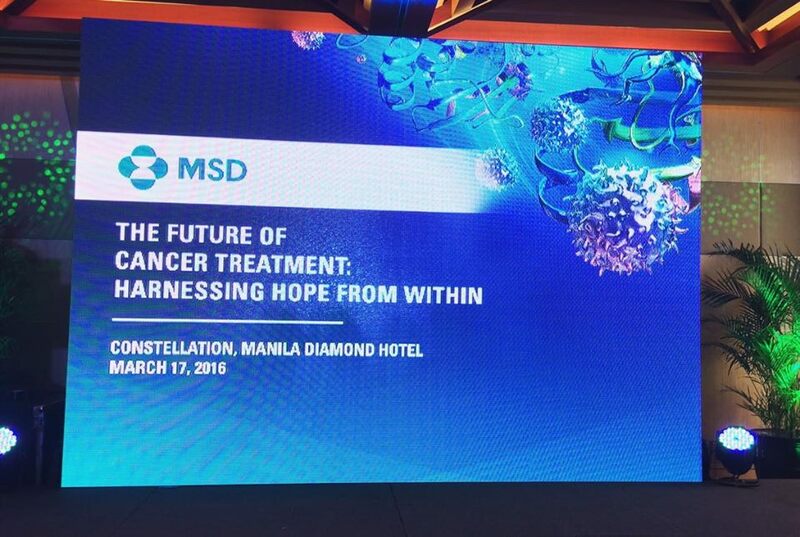 Addressing the rising incidence of cancer is indeed a tough road to embark on and MSD has been dedicating its resources to developing innovative oncology medicines. Writing my message for all cancer patients. Finally, cancer is hopeless case no more! 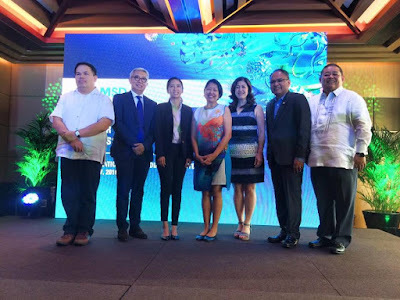 With this Immunotherapy finally available in the Philippines, cancer patients need not equate being diagnosed with advanced or metastatic lung cancer or melanomas a death sentence. 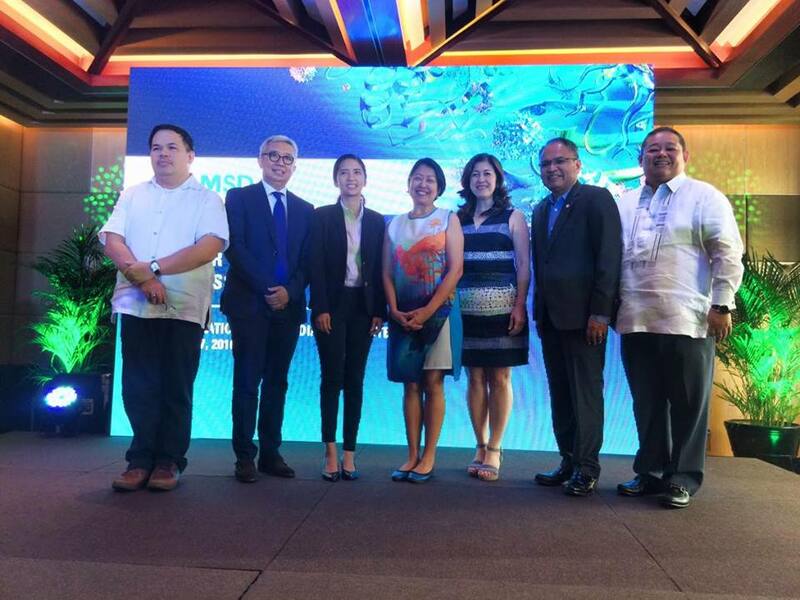 Thanks to this breakthrough in cancer medication, patients in the Philippines and abroad have a ray of hope and confidence in what used to be a hopeless case. Have you been waiting for your Fairy God Mother? Then wait no more! 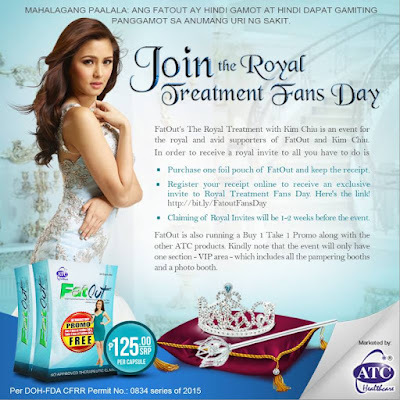 FatOut is giving you the Ultimate Royal Treatment with The Chinita Princess, Kim Chiu! Get ready to be pampered and meet your Idol, FatOut’s newest endorser Kim Chiu! Who's Going To Be The Next Century Tuna Superbods? I am fond of watching all sorts of pageants ever since I can remember. I admire how each candidates gracefully and confidently flaunt their face and body. 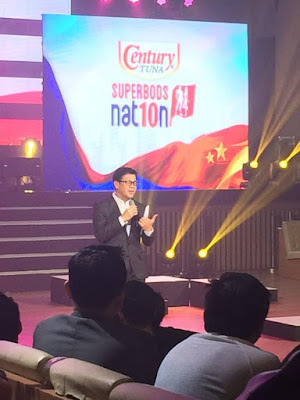 That is why when I got an invite to the VIP launch of the 26 finalists of Century Tuna Superbods Nation 2016, I did not hesitate to go. Monika Sta. Maria one of my favorite models is a product of this pageant, she was the winner back in 2012. So last March 16, 2016 the Valkyrie Nightclub in BGC was filled with bevy of fab and fit hopefuls who were all excited, full of anticipations, and filled with exhilarating energy as Century Tuna recently presented its lineup of finalists for the much-awaited Century Tuna Superbods Nation 2016, the biggest, hottest and most fabulous summer event in the country brought to you by the country's number 1 tuna. 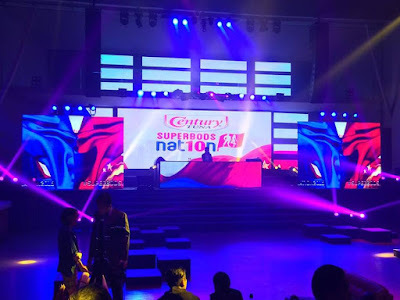 Aside from the 24 hot candidates, the one and only Superbod Anne Curtis graced the event. You too can take part of the action in this electrifying search—by joining the online voting for your favorite Superbods 2016 finalist! 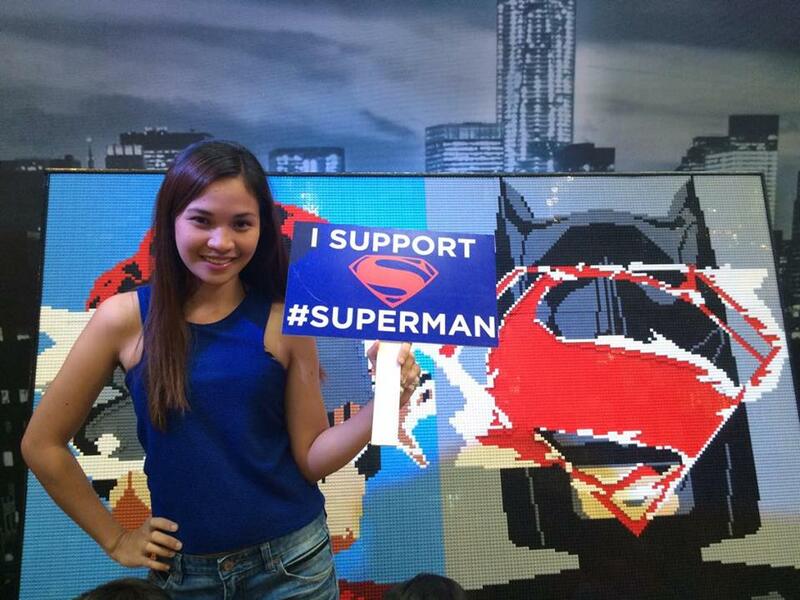 Simply download the Century Tuna Superbods App from either the Google Playstore or the App Store on Itunes. Look out for and purchase selected Century Tuna Flakes in Oil in 180 grams with can toppers and scratch off a portion to reveal the unique code for viewing. Input the code onto the Superbods App voting section. Random, computer selected voters will get a chance to win tickets to the Superbods Nation Finals Night! Online voting is ongoing until April 2. 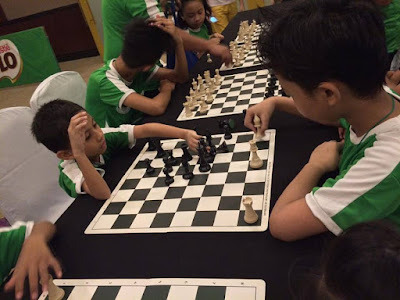 Tristan is now graduating from Kinder 2 and later today is their school's Commencement Ceremony at the Philippine International Convention Center (PICC). 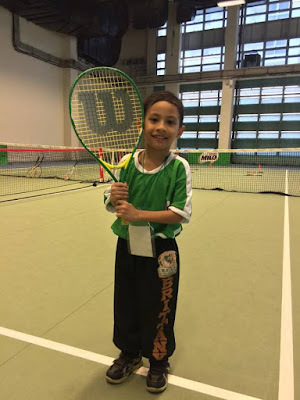 Time flies by so fast, my not-so-little man is growing up and next school year he's already moving up to grade 1. I am excited and a bit worried for him, oh the feeling of ambivalence! 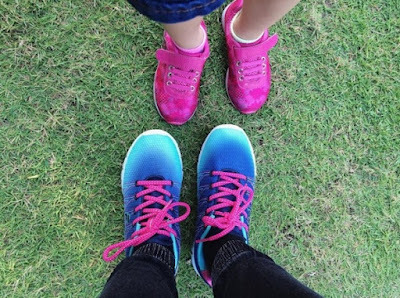 Mommies do you also feel the same way? 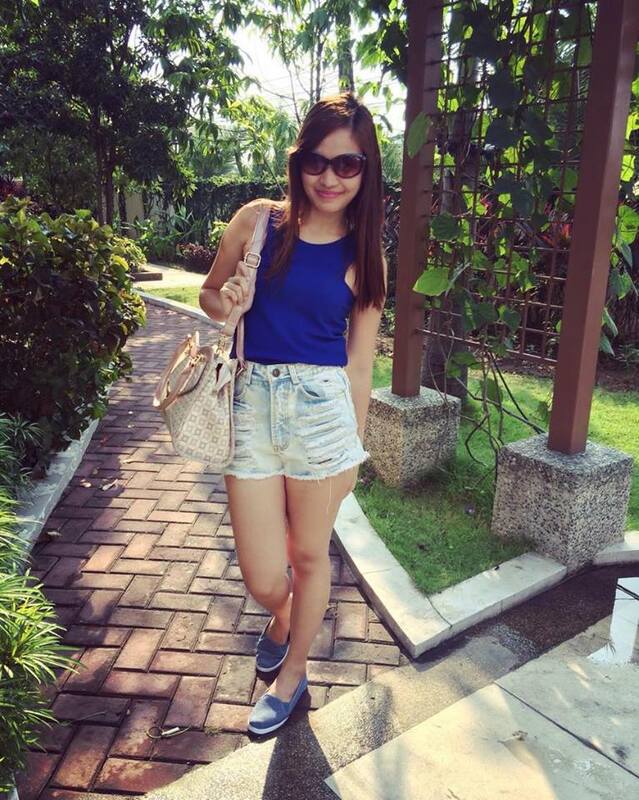 But before we worry about that, let's first enjoy the moment because summer is finally here! Some of you are planning to have a vacation somewhere, a visit to your provinces perhaps. But I believe that there are still some families who will be staying in the Metro. And for those of you who will, you can definitely make the most out of your summer especially your kids' because there are lots of activities you can let them take up. 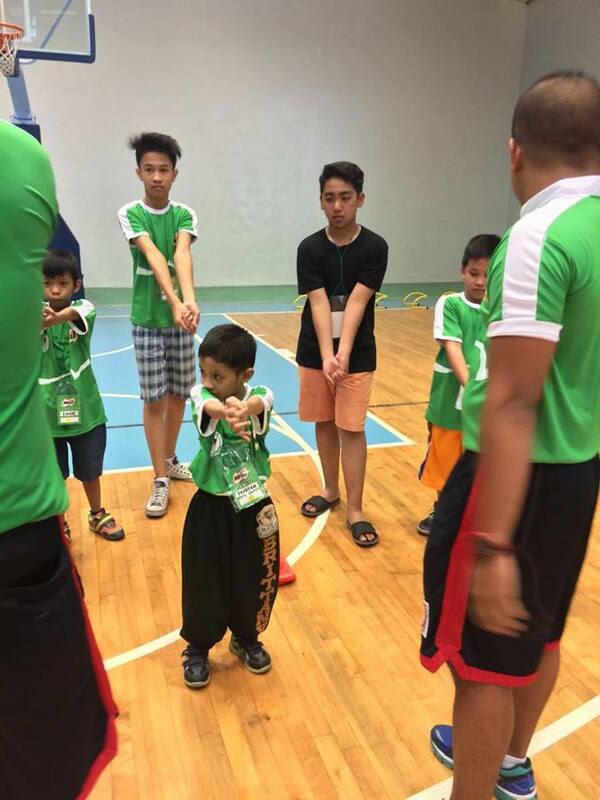 Activities where they will not only learn the fundamentals of a sport, but will also build their character! And, that’s what MILO is offering as it officially launches this year’s MILO Summer Sports Clinics at the City Club in Alphaland Makati last March 12, 2016. (from L-R): Aurora Alipao (Head of Corporate Communications & Consumer Services, Nestlé Philippines Inc.), Ellen Isturis (Team Lead, MILO Philippines), Nicholas Belasco (Assistant General Manager – Sports & Recreation, Alphaland City Club), Robbie de Vera (Sports Marketing Manager, MILO Philippines) and Andrew Neri (Sports Marketing Manager, MILO Philippines), toast to the official launch of the 2016 MILO Summer Sports Clinics. 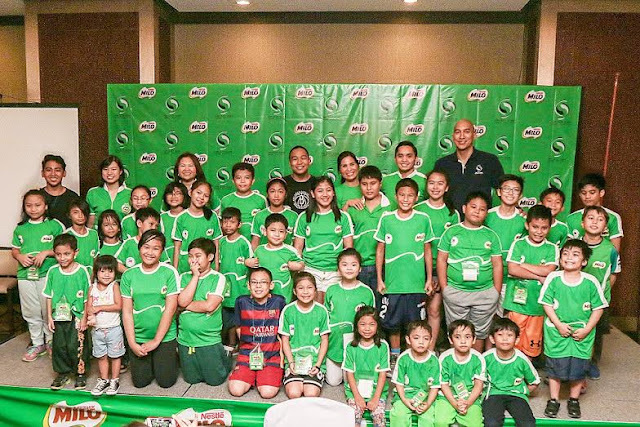 Jaear, Tristan and I together with some members of the media and their children were given a first look of what’s in store for this year’s program at the launch. MILO provided mini sessions where kids were able to experience what an actual class from the MILO Summer Sports Clinics would be like. 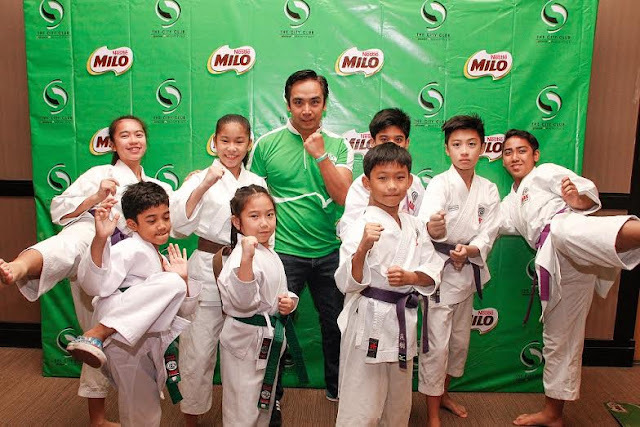 with a karatedo demonstration during the program. The remaining sports are the following: Badminton, Bowling, Swimming, Ice Skating, Karatedo, Taekwondo, Touch Rugby plus 3 new sports in this years' roster: Golf, Fencing and Triathlon. 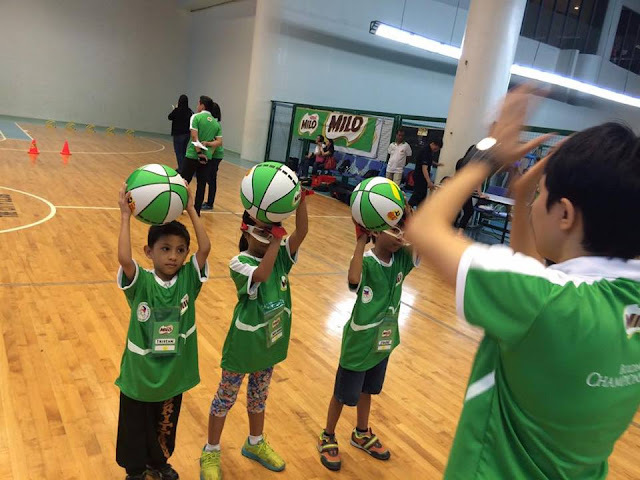 This coming April until May, the MILO Summer Sports Clinics offers a healthy summer experience full of fun and excitement where kids can expect to learn the fundamentals of their favorite sport from expert coaches of respected sporting organizations in the country. 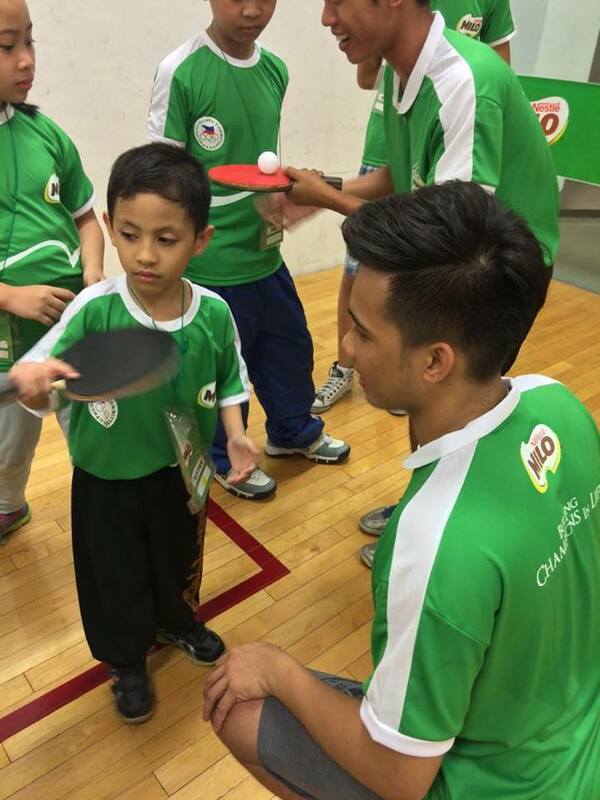 The program also promotes the importance of living an active and healthy lifestyle, and offers the opportunity to gain new friends while acquiring character-building traits they can learn in the process such as confidence, discipline, diligence,perseverance, respect, teamwork and sportsmanship. MILO is my kids favorite chocolate drink, they drink 1 glass in the morning and sometimes another 1 in the afternoon. 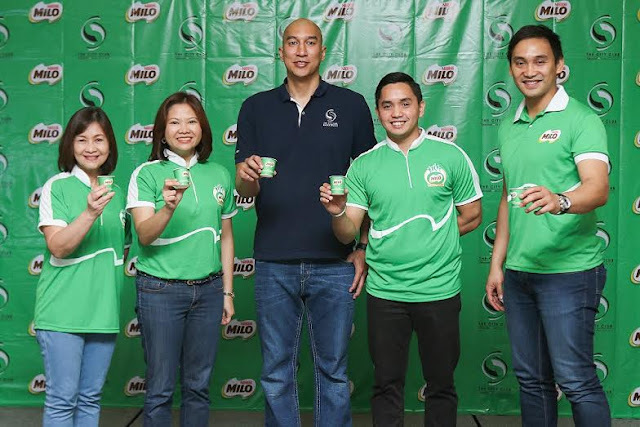 Drinking MILO with ACTIV-GO everyday helps energize both the body and mind so that kids have the winning energy to fuel them before every game. 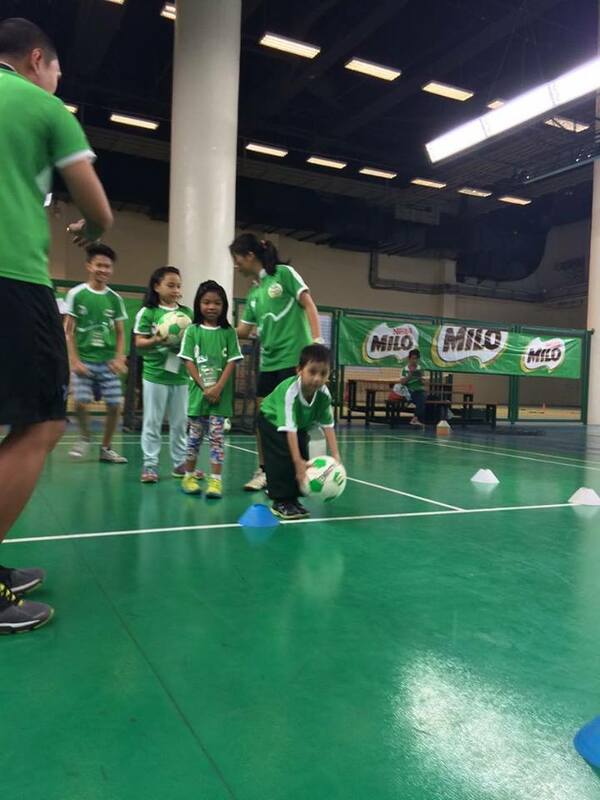 With Milo, moms can raise their little champions to be active in their sport of choice. together with an empty 1kg pack of MILO. 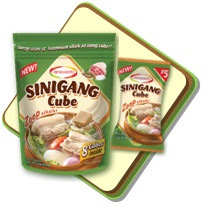 8 pieces of 13g packed in re-sealable stand-up pouch for P38.00. 1. BOIL pork in water for 40-50 minutes until tender. 2. SIMMER. Add gabi and simmer for 6 minutes. 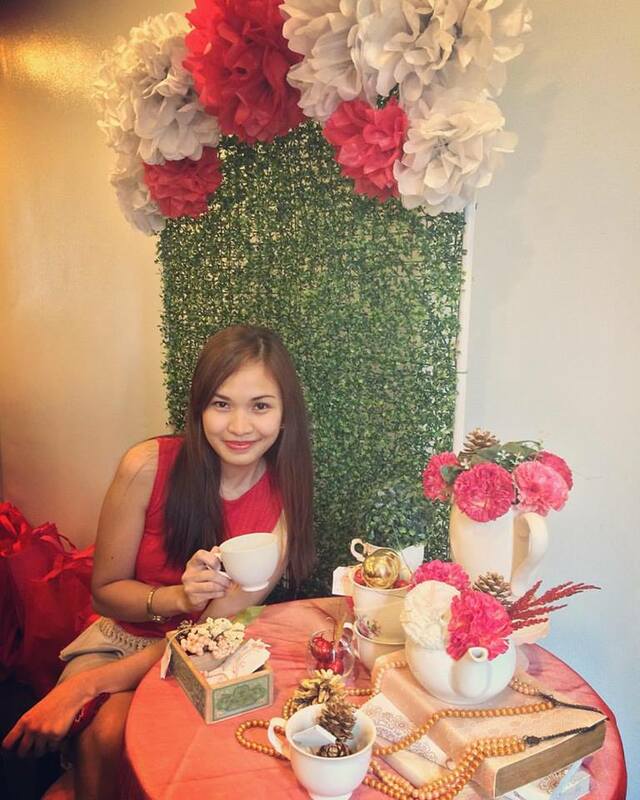 When we moved here in Las Piñas 4 years ago, a lot of things were different from what we were used to. Aside from the fact that we moved in a condo where it is more quiet and safer as there are securities compared to the residential house situated in an overcrowded and busy Barangay in Tondo, the practices here are different. One thing is that they do not use plastic bags, they use brown bag or eco-bag instead. I am not sure whether it's just here in our community or is it also practiced in the whole city, but garbage are segregated accordingly. Honestly, it takes a lot of getting used to these practices at first but come to think of it, these practices are environment friendly and is something that we would greatly benefit from. 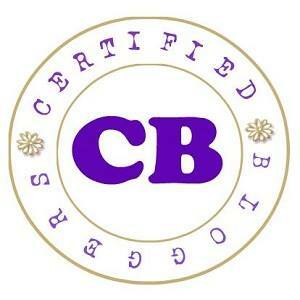 Besides, I'm a mom I serve as role model to my kids thus I should portray exemplary practices. I also taught them to always turn off the lights, electric fan, television and any other electronic appliances when they are not in use. Simple tasks, but I know it could make a difference especially now that we are facing climate change. In line with this, the leading air conditioning and refrigeration solutions provider Concepcion Industrial Corporation (CIC), through its subsidiary Concepcion-Carrier Air Conditioning Company (CCAC) has launched the Green Footprints Movement. This advocacy aims to strengthen their commitment to a sustainable future by driving greater awareness and understanding of climate change and global warming among consumers and other stakeholders, and enabling access to green choices that will enable consumers to reduce their environmental footprint. 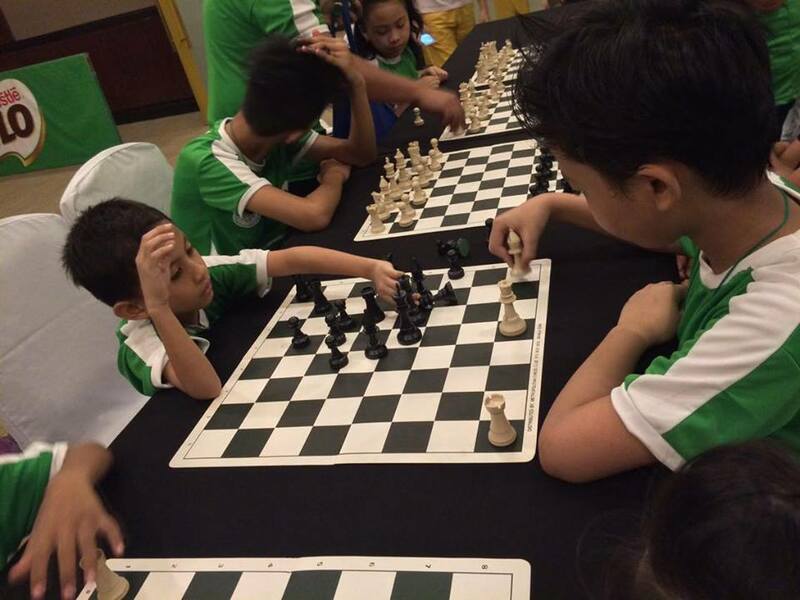 The launch was held last March 10, 2016 in Makati City and I am glad that I get to be part of it. CCAC’s Green Footprints Movement calls out to the public to become green advocates. “We want the public to be able to connect their everyday actions and decisions with its environmental impact. This consciousness, we believe, will lead them to make environmental impact an important consideration and value in everything they do or use.” shared Harold Pernikar, Jr., CCAC Director and Head of the Consumer Solutions Group. 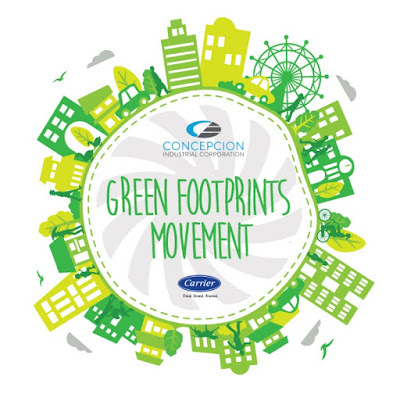 The Green Footprints Movement is a testament to CIC’s long-standing commitment to the environment, having led its industry in exercising responsible stewardship by employing best green practices and conducting their operations in a manner that safeguards the environment. Concepcion Industrial Corp., through its subsidiary Concepcion-Carrier Air Conditioning Co. (CCAC), takes its commitment to the environment a stepfurther by launching the Green Footprints Movement,an advocacy campaign that seeks to galvanize the general public into action towards reducing their environment footprint. Event attendees include (from left to right)Manila Fashion Observer blogger Christine Dychiao;Department of Environment and Natural Resources-Environmental Management Bureau (DENR-EMB) Assistant Director Dr. Eva S. Ocfemia;celebrity host and World Wide Fund (WWF) for Nature-Philippines National Ambassador Marc Nelson; Concepcion Industrial Corporation (CIC)Chief Executive OfficerRaul Joseph A. Concepcion, Concepcion Industrial Corporation (CIC) Executive Vice President for Business Development Rafael C. Hechanova, Jr., and Concepcion-Carrier Air Conditioning Company (CCAC) Director and Head of Consumer Solutions Group Harold Pernikar, Jr.
“Environmental health and safety is and has always been a key core value of CIC, and this is evident in the way we manage our business,” stated Concepcion, who noted how the company has leveraged on technology to create green facilities. 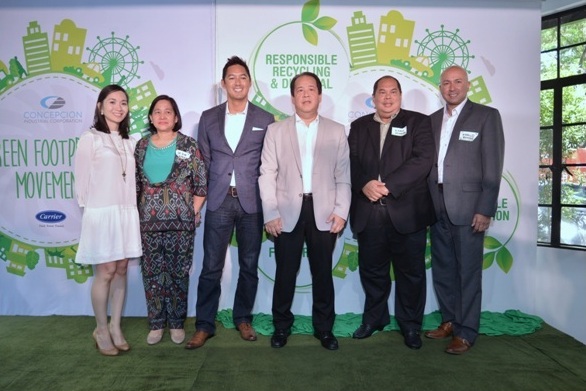 CIC was the first Philippine manufacturer to convert its refrigerators to use environment-friendly refrigerants back in 1995, and is once again leading the industry for its air conditioning solutions. Ninety-six percent of their air conditioning products have already been converted to using environmentally responsive refrigerants, and they expect to make a 100% product conversion within the year. 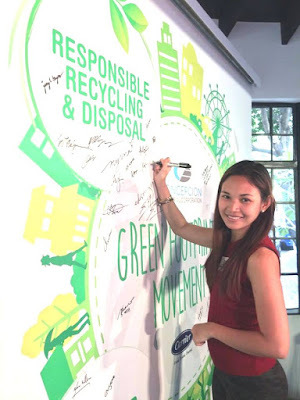 “As we enjoin people to commit to reducing their collective environmental footprint through the Green Footprints Movement, we believe we can create a significant impact towards creating a better, safer environment for the next generations.” said Concepcion. At the event I get to show my support by signing on the Green Footprints Movement pledge wall. I bow to be more responsible in terms of recycling and garbage disposal. We all have a responsibility to our environment. Let's do our part and support the Green Footprints Movement. Let's start NOW! These are just some lines I hear on the street every morning as I walk my way home right after taking my son to school. Actually this isn't new to me anymore as I've experienced hearing these things way back my younger years. I always question myself, "what do these guys get out of it?" "does it make them feel like a real man?" and so on. Some men would defend that it's just a form of compliment, but in reality it's not. It's making women feel uncomfortable, uneasy and afraid... well in my case. But am I doing anything about it? No! I just shrug it off my shoulder and try to walk fast as possible because of the fear that something worst might happen if I react against it. I know a lot of women has experienced it but chooses to keep quiet that's why this incident keeps on happening over and over again. Little did we know these occurrence is considered as a form of sexual harassment, yet this issue has been long neglected. 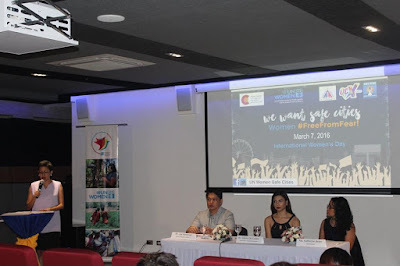 This is why the LGU partnered with UN Women to implement the Safe Cities and Safe Public Spaces Global Initiative. 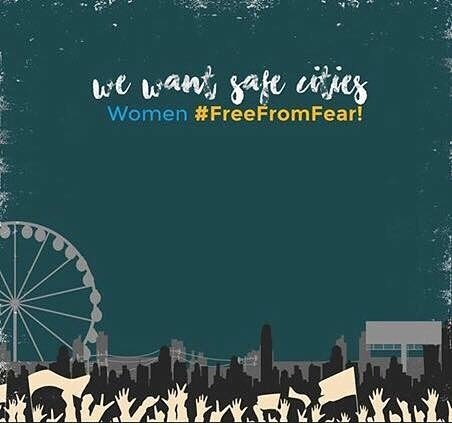 Quezon City is the pilot city in Metro Manila to be one of over 24 cities around the world in the programme to stop street harassment and sexual violence against women and girls (SVAWG) in public spaces with funding from Spanish Agency for International Cooperation and Development (AECID). To shed “light” on the issue the LGU and UN Women held back-to-back events last March 7, 2016: (1) A press conference at the QCX Museum, “Presentation of the First-Ever Data on Sexual Harassment and SVAWG in public” (2) Lighting the Ways To Safe Cities. where 1000 supporters released sky lanterns to light up the Quezon City skyline and called for safe cities where women are free from fear and free from all forms of street harassment and sexual violence. Both events were to commemorate International Women’s Day (#IWD2016) as well as to kick-off the celebrations in March as the National Women’s Month. The Press Conference launched the research on “How Safe are Women in our City Streets? 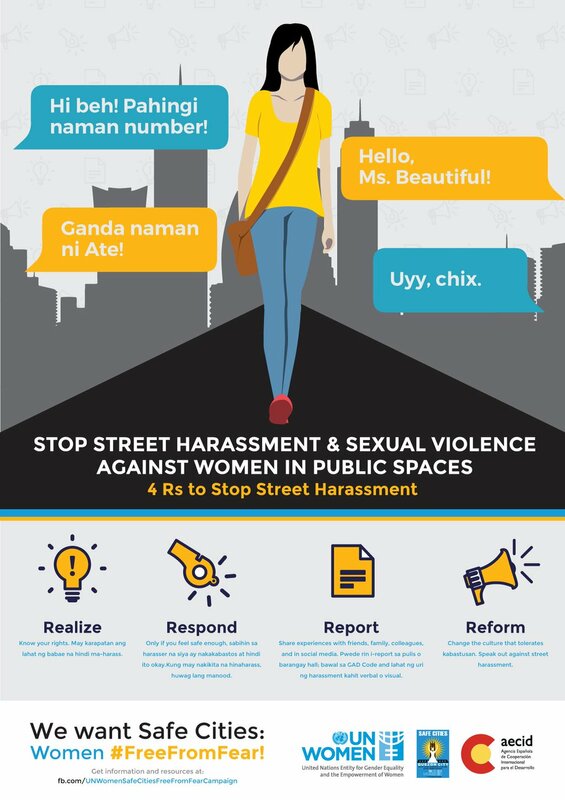 – A Baseline Study on Street Harassment and Sexual Violence Against Women and Girls in Public Spaces” and according to the research, three out of five women have experienced a form of sexual harassment while commuting in Metro Manila. The research reported that eighty-eight percent (88%)of women aged 18-24 years, have experienced some form of sexual harassment in their lives, but more than half do not report or do anything about it. 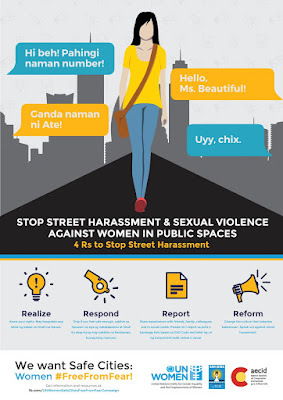 Whether due to shame or fear, women traditionally ignore and keep silent about catcalls, wolf-whistling, stalking, repeated harassment for their numbers, male public exposure, rubbing or groping (panghihipo) inside the MRT/ jeepneys, even bearing indecent language being yelled at them by men as they walk by.Women experience all these forms of sexual harassment as they move about in the city, using public transport, terminals, markets/malls, and even just walking home in their own neighborhoods. 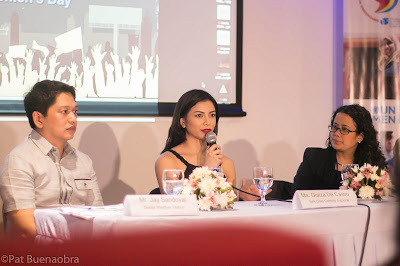 During the press conference Glaiza De Castro was revealed as the new celebrity supporter of UN Women Safe Cities. according to her "We know about it, we are offended by it, but we don't know how to prevent it." The evening’s grand assembly was a visual spectacle where supporters of women’s right to safety in the city banded together to celebrate the spirit of community fighting to stop street harassment of women. 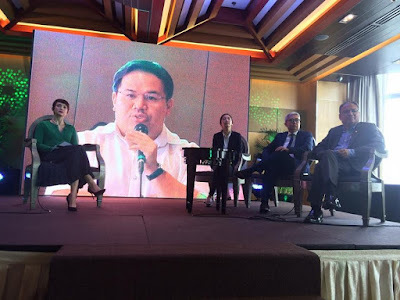 Hosted by PTV4’s Good Morning Boss talents, Jules Guiang and Karla Paderna, the event was graced by musical performances from Cooky Chua, Bayang Barrios and Glaiza de Castro. The Quezon City Local Government just passed amendments to the Gender and Development Code increasing penalties for sexual harassment and sexual violence against women in public spaces to a range of one to five thousand pesos (Php1,000 to Php5,000) for the varying severity of offenses. SM Supermalls in partnership with Warner Bros. Consumer Products, DC Entertainment and licensing representatives Pacific Licensing Studios (PLS) in the Philippines, have worked in conjunction to present a touring mall event themed as "Choose You Side". 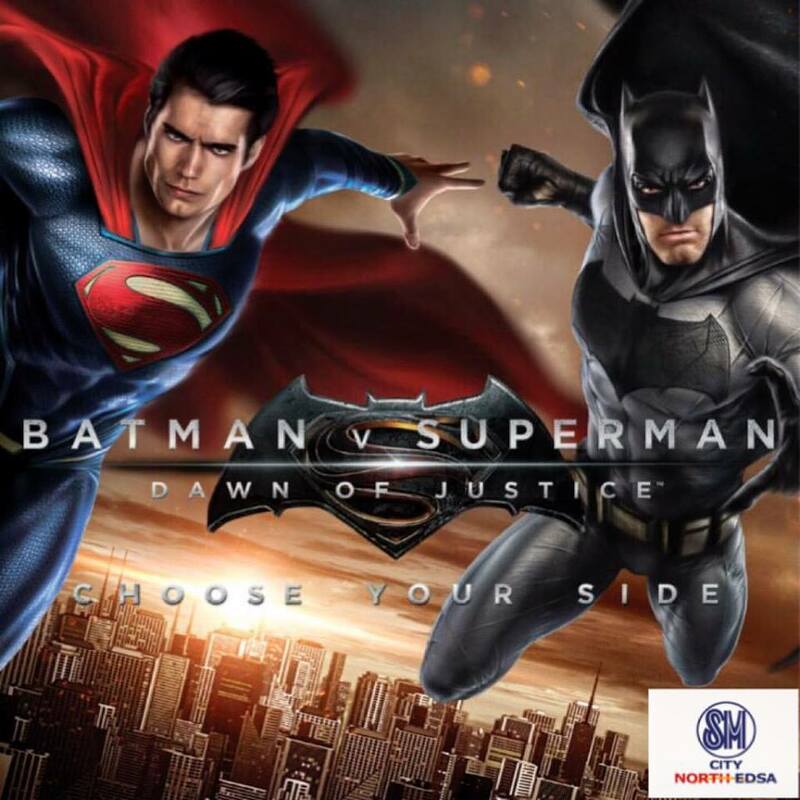 Batman vs. Superman.... Whose side are you on? 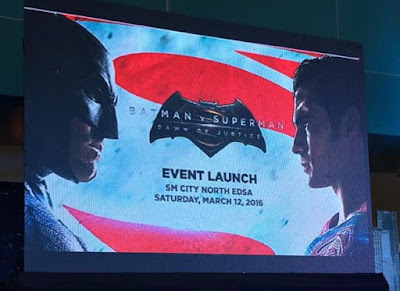 I made my choice last Saturday, March 12, 2016 as I attended the Media launch of Batman v Superman: Dawn Of Justice Launch at SM North the Block. I came in wearing blue together with other #TeamSuperman and for #TeamBatman supporters wore black. SM North The Block was impressively designed as the Dark Knight's Gotham City sitting side-by-side to the Man of Steel's Metropolis. It gives a Batman v Superman: Dawn of Justice experience walking through the amazing displays set up at the event. During the event there was a not-to-be-missed fashion show as they also launched their collection of Batman v Superman: Dawn of Justice branded limited edition apparel and accessories in collaboration with Penshoppe ; and a collection of trendy watches from Axis by Newtrend. 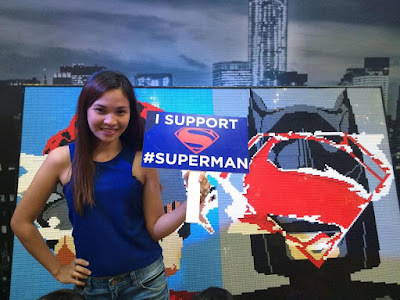 Aside from the fashion show, fans of LEGO including my son Tristan enjoyed the immersive play area set up by the LEGO group, alongside the display of their Batman v Superman: Dawn of Justice product line and an exclusively created LEGO mosaic featuring the two iconic Super Heroes. 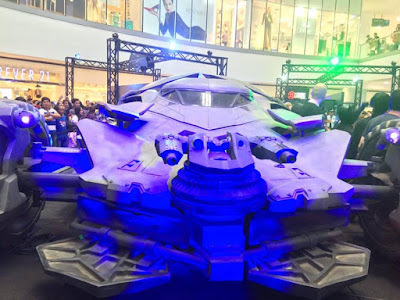 Before the event ended we were all excited as they revealed the incredibly detailed 1:1 scale replica of the Batmobile, then afterwards a lot of picture taking took place. 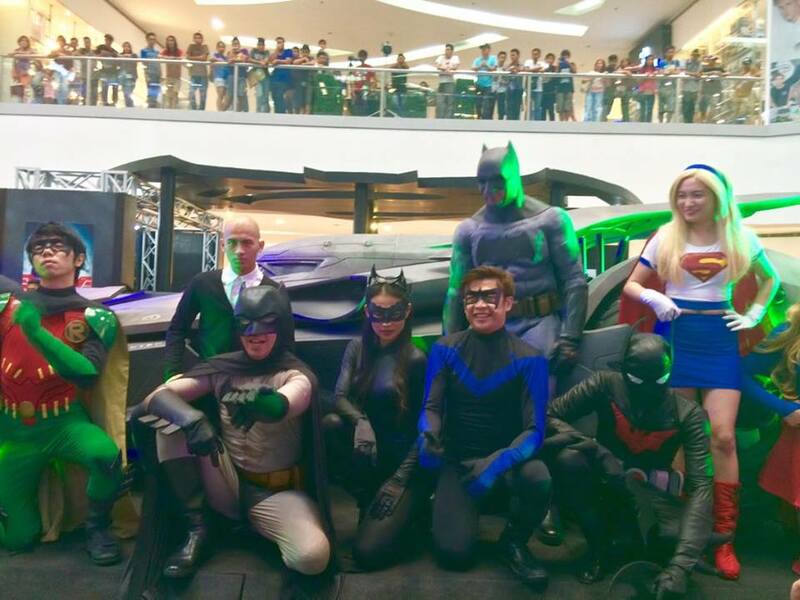 The event will be toured around 12 Supermalls across the country. 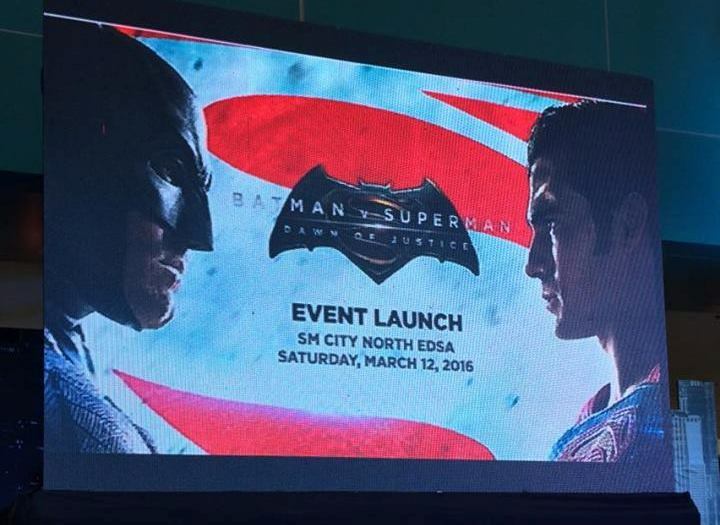 And the Batman v Superman: Dawn Of Justice film opens in Philippines on March 26, 2016. 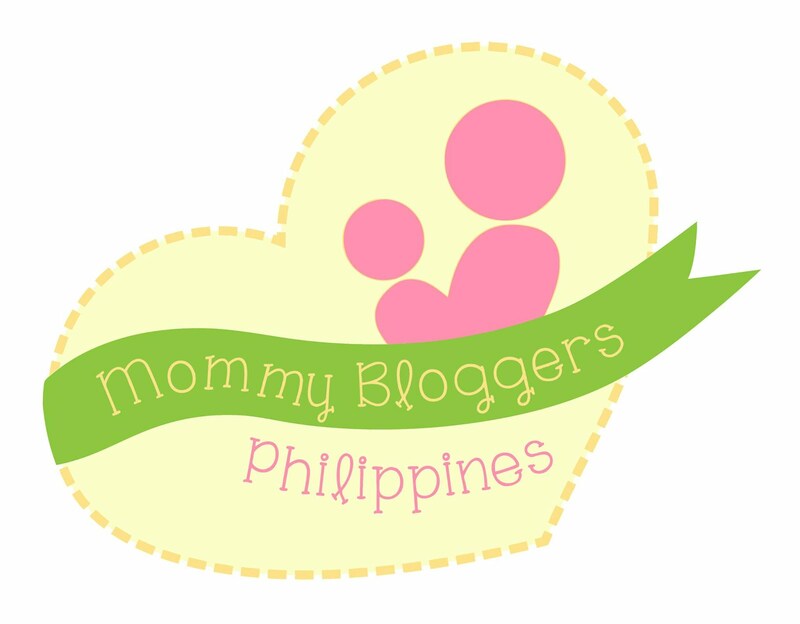 TrisoPure Baby Wash Review + Giveaway-Closed!! !